As we’ve previously discussed, eIDAS was introduced last year and applies across EU member states. It intends to improve electronic transactions between EU countries, which is especially beneficial for secure business transactions. Under the new regulation electronic signatures, electronic seals and time stamps hold the same legal status as paper signatures. 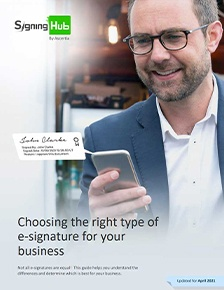 Accepted e-signatures under eIDAS include basic signatures, Advanced and Qualified Electronic Signatures. The addition of electronic seals and qualified electronic seals enable businesses to create a secure corporate seal for documents applied by a Legal Person rather than a Natural Person. A Qualified Electronic Signature has the highest level of trust due to the addition of a qualified digital certificate created by a qualified signature creation device. Under eIDAS, Qualified Electronic Signatures have the same legality as a handwritten signature. 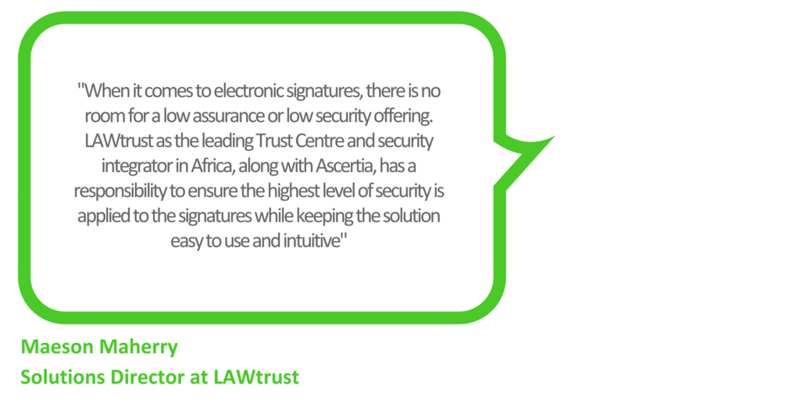 South Africa has its own e-signature regulations, as defined under the ECT Act 25 of 2002. These regulations were created in line with the United Nations International Trade laws, as are many other countries’ e-signature regulations and guidelines. Similarly to eIDAS, the act states that electronic signatures shall not be denied legal effect and admissibility as evidence in legal proceedings solely on the grounds that it is in an electronic form, but that evidential weight shall be established and applied accordingly. The South African act has defined two types of signatures, namely “Electronic” and “Advanced Electronic". South African Advanced Electronic signatures must comply to the same characteristics as eIDAS Advanced Electronic Signatures, with the addition that a face to face check of an ID document must occur through a trained agent of a government accredited certificate authority. Furthermore, under this act, Advanced Electronic Signatures are deemed to be valid and applied correctly, thereby shifting the burden of proof away from the relying party to the signature. 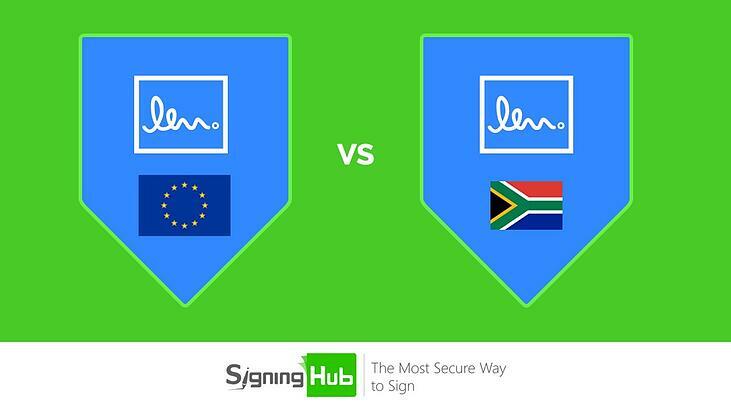 The difference between South African e-signature regulations and that of eIDAS is therefore that an Advanced Electronic Signature is the equivalent of an eIDAS regulation Qualified Signature. There is also no equivalent to electronic seals in South African law although it does make reference to sole control it does not distinguish specifically between level 1 and level 2 sole control as the eIDAS regulation does. As a result, companies and vendors offer remote Advanced Electronic Signatures where the private signing key is held centrally, as well as traditional methods of FIPS rated hardware held by the user to create signatures. Electronic signatures can be legally accepted for most business processes but long-term leases, transfers of property and wills are exempt. 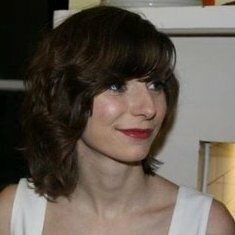 It is important to remember that basic electronic signatures can be more easily disputed in comparison to more secure Advanced digital signatures. Advanced digital signatures provide long-term validity and assurance that documents have not been altered. The South Africa ECT ACT 25 of 2002 only applies to electronic signatures created in the country, meaning that these signatures may not necessarily hold the same level of assurance outside of South Africa. In comparison, eIDAS provides clear guidelines and aids international trade across all EU members states. Understanding local electronic signature laws and regulations is important when conducting cross-border business. We work with partners in numerous countries to provide our customers with the assurance and support that their e-signatures will be secure and valid in the country they are operating in. Find out more about our partnership with LAWtrust here.